A close-up view of a raindrop bejeweled lily. The soft lighting of an overcast sky highlights the delicate grace of these beautiful flowers. 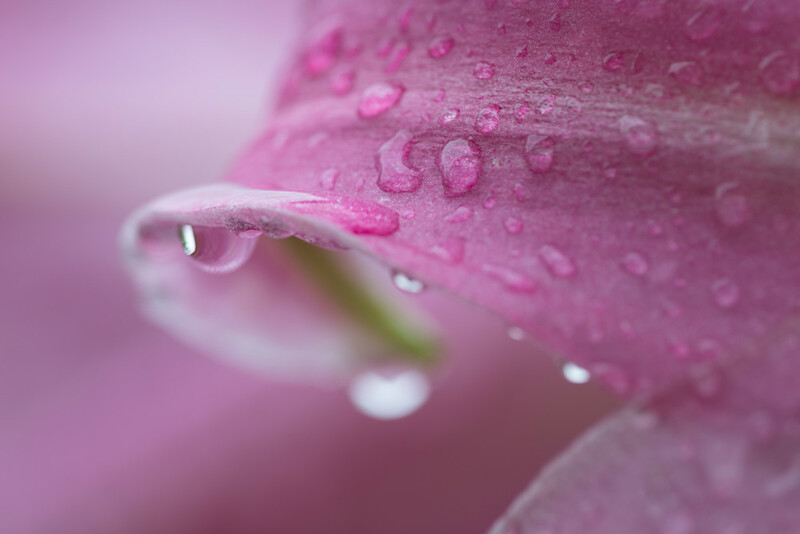 A close-up view of a raindrop bejeweled lily, under the soft lighting of an overcast sky, highlights the delicate grace of these beautiful flowers.